“This will positively influence the perception of our industry and will attract more customers to the broker channel. We’re taking a leading role in supporting brokers through our active involvement in the Combined Industry Forum. We will continue to advocate for higher quality standards through industry-led reform, and we stand firmly by our statements that broker trail commissions are a fair and equitable remuneration structure,” he says. “There will be quality in-person conversations overlapping with the optimisation of client data online. This amalgam will deliver more efficient and better customer outcomes, but it will be increasingly important for brokers and aggregators to have the right technology infrastructure in place to facilitate this,” Mr Moore explains. “I expect this growth to continue into other areas like commercial and asset finance. This is a natural progression for the industry, which continues to grow from strength to strength, and is something which we should see a lot more of in 2019,” he says. “History shows us that brokers thrive in challenging environments. In times of uncertainty, customers need quality advice and this elevates the importance of the broker channel as a source of reliable and valuable information. 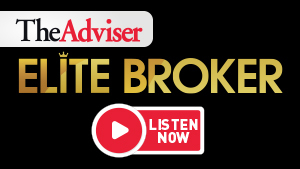 Since the global financial crisis, the broker market share has grown from 30 per cent to 55 per cent today, which is indicative of the positive impact brokers have for customers. I think it is a good time to consider becoming a broker,” Mr Moore concludes. “The Hayne royal commission has depleted consumers’ trust in the big four banks, and now they’re looking for genuine alternatives. There is going to be an opportunity for smaller banks to reach out to more consumers through the broker channel. In our home state of Tasmania, one in every four loans written by brokers goes to MyState,” he says. “If you look at the data, one thing that customers do say is that brokers provide a greater experience, and that is not going to change,” Mr Bough says. “Customers are expecting new online everyday transaction accounts as well as real-time cashless payment services such as Apple Pay, Google Pay, Samsung Pay, Garmin Pay and Fitbit Pay. MyState is also going live with Docusign for mortgages. All of these services enable the broker to offer a total package for the client that goes beyond the home loan,” Mr Bough states. “As majors lose market share, there’s great opportunity for smaller players. Smaller players in the market are already starting to see that,” he says. “The industry is going to continue increasing professionalism and compliance,” Mr Bough says. “Some recommendations, such as the removal of volume-based bonuses and soft dollar benefits, are relatively straightforward and have largely been implemented,” Mr Halliwell tells The Adviser. “From a lender’s perspective, we’re keen to ensure that aggregators have got the right standards in place for brokers operating under their license or business, and that they’re making sure brokers are meeting these standards. There will potentially be a higher bar over the next year or two,” Mr Halliwell says. “Once that subsides and people get back to what they’re good at – and that is writing loans – I see the industry taking more market share,” Mr Mason says.